"The mural looks amazing!!! Everyone loves it, it’s made such a difference for our young patients..."
"I can highly recommend Carys. She is very professional and talented, but also easy to communicate with and works on time. She makes sure that you are happy with the end result, and sometimes I felt that she was reading my mind - I often found it difficult to express the ideas for my illustrations but she got it exactly!" 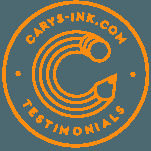 "I would definitely recommend Carys. Her work has been of excellent quality, timely and I believe good value for money. She had a really great understanding of the brief, utilized our brand guidelines and integrated the map into a leaflet designed by our in-house designer. She was the ultimate professional in all our dealings with her." "It's been a real pleasure working with you Carys, thank you for making the process so painless and giving us a product that we love and feel excited about!" "There’s been a real sense of fun around the illustrations… The colourful artwork has linked well with our values without feeling childlike or frivolous. They have really hit what we wanted to achieve." "Working with Carys is an incredibly enjoyable experience. She is efficient, flexible and fun! She wholeheartedly embraced the brief and took it forward to another level. I am absolutely thrilled with the end result. I would highly recommend her." "Thank you so much for all your hard work and patience on this project. I am utterly thrilled with the results and can't wait to get started with the new name and identity." "Jules and I sat down for a Christmas card signing session yesterday... Just to say many thanks again for your design work, you totally delivered on our brief and we're really pleased with them. " “Carys did some great illustration work for a new website for one of my clients. She is very professional, very creative and a pleasure to work with."